The government’s report submitted to the 133rd Inter Parliamentary Union (IPU) assembly held in Geneva, Switzerland recently has confirmed the complicity of the Tamil Makkal Viduthalai Pulikal (TMVP), a break-away group of the Liberation Tigers of Tamil Eelam (LTTE) in the murders of parliamentarians Joseph Pararajasingham and Nadarajah Raviraj. For years, the murder of these parliamentarians, both representing the Tamil National Alliance (TNA) had been a mystery with various theories being floated about, as to the possible perpetrators as well as to the reasons why they were murdered. However, investigations by the CID has shed light on the murders and have uncovered fresh evidence to indicate complicity of the TMVP, a breakaway group of the LTTE that had several former militants in subsequent political leadership roles. The IPU expressed satisfaction over the investigations launched by the government on the killings of Parliamentarians Joseph Pararajasingham, Nadarajah Raviraj, T. Maheshwaran and D.M. Dassanayake. What the IPU found from the human rights point of view is that Sri Lanka has made a tremendous improvement during the past six months, specially with regard to these four outstanding cases, while efforts are being made to bring the culprits to book.During the course of CID investigation on the killing of MP Pararajasingham, complicity of the following individuals who were members of TMVP, in the murder has been established. 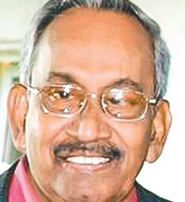 Palanithambi Sasidaran alias Shanthan of Manikkam Square, Hospital Road, Batticaloa, Gunasinghe Arachchige Tharindu Madushanka of Girandurukotte, Ariyanayagam Tharmanayagam alias Olapattikumar of Wakarai and Menan. Palanithambi Sasidaran alias Shanthan was identified as the person who fired the fatal shot at MP Pararajasingham and the crowd who were attending the special Christmas Mass at St. Mari’s Church, Batticaloa on December 25, 2005, killing the MP and injuring eight others including Pararajasingham’s wife.He was shot to death in the Kaththankudi Police area in 2008. Suspect Gunasinghe Arachchige Tharindu Madushanka is reported to have left for Dubai on 26-09-2012 and not returned since. The true identity of the individual named ‘Menan’ is yet to be established. He is reported to have arrived in Sri Lanka from India in 2004, found refuge in a refugee camp in Trincomalee and returned to India in 2007. Investigations are underway to arrest the above suspects, except Shanthan, who is deceased, and recover the vehicle and weapons used in the murder. During the course of CID investigation, complicity of Sivakanthan Vivekanandan alias Charan in the murder of Nadarajah Raviraj has been established and he is reported to have been a member of the TMVP, a break-away group of the LTTE. However ‘Charan’ had migrated to Switzerland and is yet to be arrested. Court issued an arrest warrant against him and the process to have him extradited from Switzerland has been initiated. On the advice of the Metropolitan Police Service (MPS), New Scotland Yard of the UK, the process has been initiated to forward a Mutual Legal Assistance (MLA) request to the UK authorities to enlist MPS’s further assistance in the ongoing investigations. Nalaka Mathangaweera, a disabled soldier of Tangalle, J.L. Mahinda of Circular road, Badulla, Tennis Aruna Shantha Edirisinghe of Tangalle, Lt. Commanderr Munasinghe Aarchchige Don Nishantha Sampath Munasinghe , Lt. Commander Hettiarachchi Mudiyanselage Prasad Chandana Kumara Hettiarachchi and Petty Officer Deliwala Gedara Gamini Senevirathne of the Sri Lanka Navy and. Police Constable Wijayawickrama Manamperrige Sampath Viraj who is under interdiction. Of them some have been enlarged on bail and the rest are in remand prison. Meanwhile, Johnson Collin Valentino alias Wasanthan had been subsequently indicted in connection with the murder of MP T. Maheshwaran. After a lengthy trial, the Colombo High Court found the accused guilty on murder chargs and sentenced him to death. The accused submitted an appeal against the High Court decision which is being currently examined by the Court of Appeal. The case has last been called on 18-06-2015 and fixed to be called next on November 11, 2015. The Colombo Crime Division (CCD) has arrested the following suspects in connection with the murder of MP Maheshwaran. Johnson Collin Valentino alias Wasanthan of Beach Road, Jaffna, Subramanium Marina Evanjaline of Nawaloka Garden Road, Oliyamulla, Wattala, Alosius Victoria Melvin of Oliyamulla, Wattala, Francis Sudarshan of David Street, Jaffna, Perumal Pradeepan and Sandanam Priyadarshini of, Kekitta, Wattala and John Mary Joseph Terrance of Jampettah Street, Colombo 13. These suspects have been detained under the PTA. The suspects were produced before the Colombo Chief Magistrate Court on 07-03-2008 where some of them were released. Regarding the murder of MP D.M. Dassanayake the CID has arrested Sundaram Sathis alias Kumaran alias Thamil Cheliyan alias Chooti alias Suresh of Kandy Road, Kodigamam, Jaffna, Kulathunga Hettiarachchige Malcom Tyron alias Prasanna of . Maria Road, Ja-ela Watta, Ja-ela and Warnakulasuriyage Don Hayazinth Fernado of Gramodaya Mawatha, Negombo. The first accused, Sundaram Sathis had fallen sick while in the remand prison and died this year after admission to the Colombo National Hospital. The trial is pending against the second accused Malcom Tyron Prasanna while the third accused Hayazinth Fernando had pleaded guilty to the charges preferred against him in the Negombo High Court and sentenced to two years rigorous imprisonment suspended for 10 years. Place of incident – St.Mari’s Church, Central Road, Batticaloa. Initial investigation had been conducted by Batticaloa Police and as per directives of Inspector General of Police, Criminal Investigation Department (CID) had taken over the investigation subsequently. CID investigations into the murder led to the arrests of the following suspects on 04.10.2015, at Batticaloa and currently are detained for further investigations under Prevention of Terrorism Act (PTC). I Edvin Silva, Krishnanandarajah @ Pradeep Master of No. 246/121, 3rd Cross Street, Hospital Road, Batticaloa. II Rengasami Kanaganayagam of No. 50/27, 5th Cross Street, Punocchimunai, Nawakkulam, Kaththankudi. members of Tamil Makkal Viduthalai Pulikal (TMVP), a break-away group of the LTTE, in the murder has been established. I Palanithambi Sasidaran @ Shanthan of 246/122, Manikkam Square, Hospital Road, Batticaloa. II Gunasinghe Arachchige Tharindu Madushanka of No. 120/5, Hobariyawa, Girandurukotte. Suspect Palanithambi Sasidaran @ Shanthan (mentioned ii above) had been identified as the person who fired at late MP Joseph Pararajasingham and the crowd who were attending the special Chrismas Mass at St.Mari’s Church, Batticaloa, on 25.12.2005, killing the MP and injuring 8 others, including the wife of the late Parliamentarian. The suspect Shanthan had been shot to death in Kaththankudi Police area in the year 2008. The suspect Gunasinghe Arachchige Tharindu Madushanka (mentioned iii above) is reported to have left to Dubai on 26.09.2012 and not returned home since. The true identity of the individual named “Menan” (mentioned v above) is yet to be established. He is reported to have been an individual who had arrived in Sri Lanka from India in the year 2004, found refuge in a refugee camp in Trincomalee and returned to India in 2007. Investigations are underway to arrest the above suspects, except Shanthan, who is deceased, and recover the vehicle and weapons used in the murder. Date & the time of the incident – 10.11.2006, at 08.20 hrs. Criminal Investigation Department (CID) had initially conducted investigations into the incident with the assistance of a team of Metropolitan Police Service (MPS) New Scotland Yard of the United Kingdom (U.K.). After initial investigations, the team of MPS had returned to the U.K. Taking with them certain productions/exhibits found from the scene of murder. CID is now advised that examinations performed on the productions/exhibits so taken to the U.K. have produced DNA profiles and fingerprints. CID investigations conducted into the murder have so far led to the arrests of the following individuals in respect of the murder, on the dates mentioned against their names. VII Police Constable 43554/Wijayawickrama Manamperrige Sampath Preethi Viraj (under interdiction)20.03.2015 Of the suspects taken into the custody, i-iv mentioned above have been enlarged on bail and rest are currently held in remand prison. During the course of investigations, complicity of Sivakanthan Vivekanandan @ Charan in the murder has been established. He is reported to have been a member of Tamil Makkal Viduthalai Pulikal (TMVP), a break-away group of the LTTE. However, the “Charan” had migrated to Switzerland and is yet to be arrested. The court has issued an arrest warrant against him and the process to have him extradited from Switzerland has been initiated. Since MPS of the U.K. has been able to develop DNA profiles and fingerprints from the productions/exhibits found from the murder scene and which they had taken back to the U.K. with them for examinations. In the circumstances, it has become necessary to solicit further assistance of MPS in furtherance of investigation purposes, particularly for DNA comparisons of the suspects in custody. On advice of MPS, the U.K., the process has been initiated to forward a Mutual Legal Assistance (MLA) request to the U.K. Authorities to enlist MPS’s further assistance in the ongoing investigations. Progress of investigations: Colombo Crime Division (CCD) had conducted investigations into the matter and arrested the following suspects in connection with the murder. Johnson Collin Valentino @ Wasanthan of No. 639/3, Beach Road, Jaffna. Subramanium Marina Evanjaline of No. 36/96, Nawaloka Garden Road, Oliyamulla, Wattala. Allosius Victoria Melvin of No. 36/96, Nawaloka Garden Road, Oliyamulla, Wattala. Francis Sudarshan of No. 40, David Street, Jaffna. Perumal Pradeepan of No. 24/65, Chirsturaja Mawatha, Hekitta, Wattala. Sandanam Priyadarshini of No. 24/65, Chirsturaja Mawatha, Hekitta, Wattala. John Mary Joseph Terrance of No. 57/37, Jampatah Street, Colombo 13. The above suspects had been further investigated having detained then under PTA. On 07.03.2008, the suspects had been produced before Colombo CMC under Case No. B 9526/03/08. Of the suspects, II, III and VII mentioned above had been released and the rest remanded by the court. On completion of investigations, extracts had been sent to Hon. Attorney General (AG) for advice. On AG’s advice, suspects, IV, V and VI mentioned above had been released by the court on 25.06.2008. Suspects Johnson Collin Valentino @ Wasanthan had been subsequently indicated by Hon. A.G. In connection with the above murder, under Colombo High Court Case No. 4337/2008. On 27.08.2012, after a lengthy trial, Colombo High Court had found the accused guilty on murder charge and sentenced him to death. The accused has submitted an appeal to the Court of Appeal against the High Court decision under Case No. CA 292/2012 which is currently examined by the Court of Appeal. The case has last been called on 18.06.2015 and fixed to next called on 11.11.2015. Court Case Nos: Negombo High Court Case Nos. 136/12 and 182/11. Progress of investigations: Criminal Investigation Department (CID) had conducted investigations into the murder and arrested the following individuals in connection with the incident. Sundaram Sathis @ Kumaran @ Thamil Cheliyan @ Chooti @ Suresh of Kandy Road, Kodigamam, Jaffna. Kulathunga Hettiarachchige Malcom Tyron @ Prasanna of No. 63/02, St. Maria Road, Ja-ela Watta, Ja-ela. Warnakulasuriyage Don Hayazinth Fernando of No. 416/2/A, Gramodaya Mawatha, Negombo. On completion of investigations, Hon. A.G. Hand indicted suspects No. I & II above, under Negombo high Court Case No. 136/12 and suspect No. III above, under Negombo high Court Case No. 182/11. The accused Hayazinth Fernando had pleaded guilty for charges preferred against him under Negombo HC Case No. 182/11 and on 01.08.2011, had been sentenced to 2 years rigorous imprisonment suspended for 10 years and the trial closed. 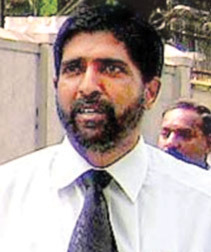 The 1st accused of Negombo HC Case No. 136/12, namely Sundaram Sathis @ Kumaran @ Thamil Cheliyan @ Chooti @ Suresh had fallen sick whilst in the remand prison and died after admission to Colombo National Hospital on 14.05.2015. Trail in respect of Negombo HC Case No. 136/12 is pending against the accused No. II, namely Malcom Tyron @ Prasanna. The case is to be next called on 20.10.2015 for trial.